I was dreading painting the old plastic horses, due to the lack of detail, but also due to my unfamiliarity with horses. A few google searches later and some feedback from my wife, and I have painted horses that exceeded my expectations. Tonight I plan to finish all of the barding and the lances, which should make it possible to base the unit. I plan to use biker bases like those I used on my..erhm...bike squads. I hope that is allowable game-wise. I just can't bring myself to use squared bases on 40k. I really need to keep the painting temp up for Armies on parade. I only have a few days before traveling overseas and a few days once I return before the competition. They look GREAT. Nice work! 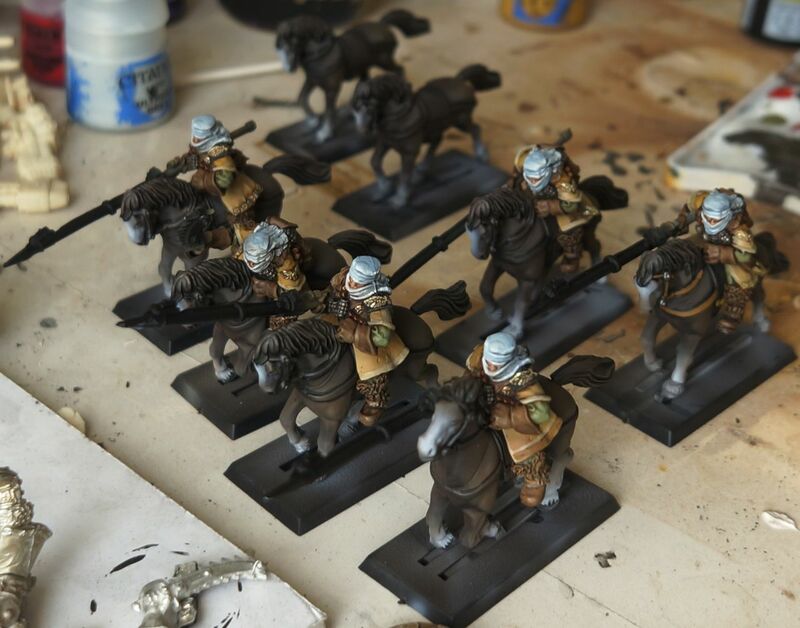 I've always thought if i had an IG army i'd want rough riders -- just something about horse cavalry in a SF game. And the Tallarn is a cool way to go. I appreciate you posting this. I just recently got into Warhammer 40k and noticed that in the Astra Militarium codex shows horsemen, but the models were no where to be found. I like yours. 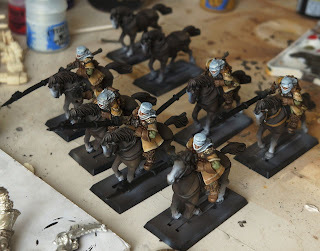 It seems you used warhammer fantasy horsemen as rough riders. I want to do the same. Thank you again for posting a wonderful project and inspiring others.